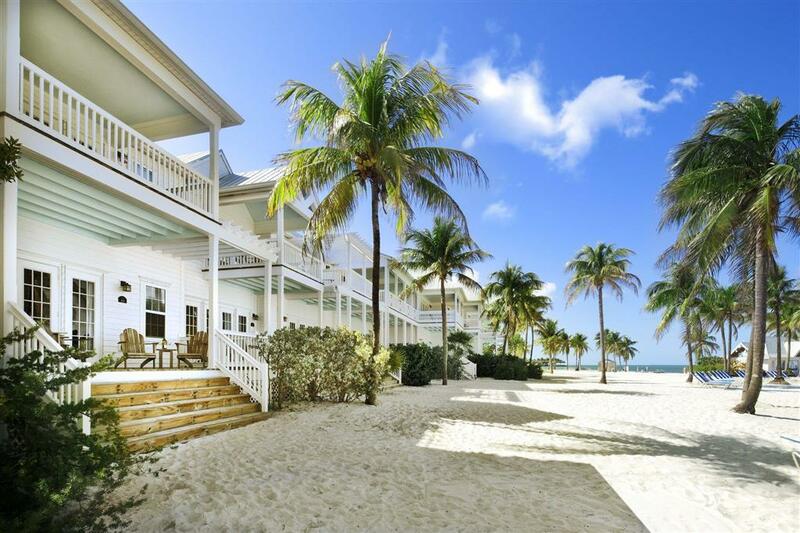 Tranquility Bay Resort is The Florida Keys newest luxury beach house resort ideally situated in Marathon Florida. The heart of the Florida Keys. The Resort is just 90 miles south of Miami and 45 miles north of Key West at mile marker 48.5 Bayside. Nestled on nearly 12 acres of land overlooking the sparkling waters of the Gulf of Mexico Tranquility Bay is a fantasy of lush landscaping punctuated by towering coconut palms. Past the sand dunes where native sea oats dance in the gentle tropical breeze guests can enjoy the pristine sandy beach -one of the largest within the keys- and the Gulfs calm warm waters. Representing a new concept that redefines luxury accommodations in the Keys Tranquility Bay Beach House Resort offers guests the best of both worlds- the comforts and conveniences of home combined with world class resort amenities. The thoughtfully designed private enclave comprises two and three bedroom homes with lush tropical gardens a signature restaurant beachfront Tiki bar lagoon swimming pool fitness center complete water sports and watercraft rentals spa services and 1100 feet of shoreline with 2.5 acres of private sandy beach. Located just 90 miles south of Miami and 45 miles north of historic Key West Tranquility Bay Beach Resort is easily reached by car or plane with Marathon Airport less than a mile away.